Force Powers:- Accelerate Healing, Control Pain, Detoxify Poison, Remain Conscious, Resist Stun, Life Detection, Life Sense, Magnify Senses, Lightsaber Combat, Danger Sense. As Mandalorians raided worlds on the Outer Rim during the Mandalorian Wars, Mira was taken in as a slave when her home was sacked. Mira was raised by the Mandalorians from a young age but they later accepted her into a Mandalorian squad, and she was taught how to fight, hunt, and survive like a Mandalorian, and was treated as a part of the unit. However, at the age of fourteen, the Battle of Malachor V erupted. Mira lost her adopted family when the Mass Shadow Generator activated. 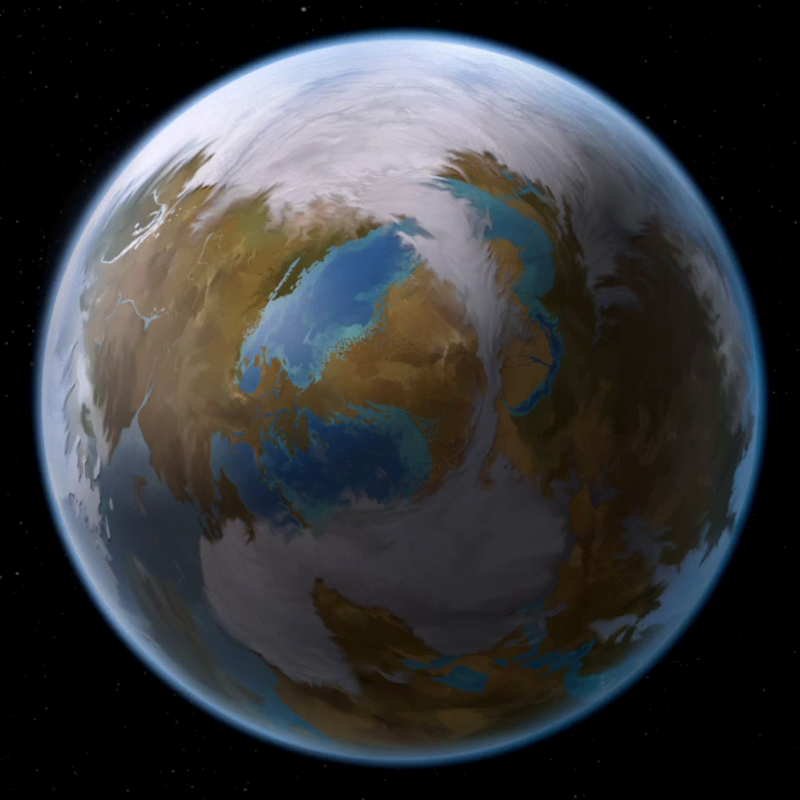 With the Mandalorians crushed at Malachor V, the Galactic Republic was flooding with refugees, and many of them?including Mira?ended up in the refugee sector of Nar Shaddaa. To survive in the hostile environment, she became a bounty hunter. While she worked for credits, she recognized that the Mandalorian Wars left people scattered and lost. Her wish was to find these people and begin to piece the galaxy back together and then perhaps find herself or a new family. Her provocative clothing was a device to distract male opponents so that she could defeat them and check any outstanding bounties on them. Unlike other bounty hunters, who enjoyed killing their victims, Mira believed that a good bounty hunter did not need to kill their targets?especially if they knew their targets well. Despite her strange beliefs, she soon became successful, and that success predictably led her enemies to envy. Eventually, she gained the attention of an unknown being who employed the Wookiee Hanharr to hunt her. Hanharr planned to ambush Mira in vents beneath the Nar Shaddaa docks and drive her into some mines he placed in escape tunnels, but Mira outwitted him by remotely disabling the mines and re-enabling them when Hanharr was pursuing her. Hanharr survived the explosion?barely?and begged Mira to end his torment by killing him. However, Mira felt pity for him and saved his life. Unknown to Mira, this caused Hanharr to owe Mira a Wookiee life debt. According to the Wookiee code, a Wookiee should pledge a life debt to his savior. However Hanharr possessed a hatred for humans so extreme that it drove him to insanity. While Hanharr respected the life debt he owed to Mira, his madness caused his interpretation of that life debt to become twisted and evil. Hanharr considered it a form of 'living death' to owe a life debt to a human such as Mira. Consequently Hanharr focused all of his hatred for humanity upon Mira and instead of guarding Mira's life, Hanharr continually hunted Mira and threatened to kill her. Hanharr would often stalk Mira, grab her by the throat and promise to derive pleasure from killing her sometime in the future, when the time was right. Mira often told Hanharr that she didn't want his life debt but Hanharr's insanity meant that he could see no way out other than to kill Mira. The conflict reached its culmination when Goto, an elusive crime lord, announced the Jedi Exile's arrival on Nar Shaddaa. 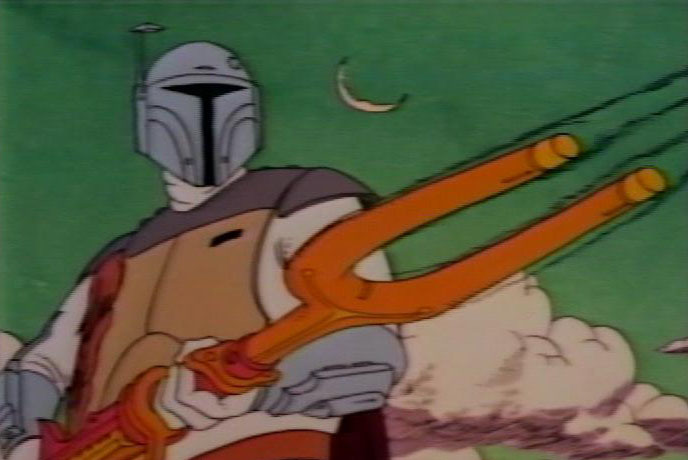 Hanharr, as well as a number of other bounty hunters, started looking for the Exile, each hoping to receive the bounty Goto had put for every remaining Jedi. Mira, however, was hired by Zez-Kai Ell ? who was a former Jedi Master and Council member living in self-imposed exile on Nar Shaddaa ? to secretly watch over the Exile and keep Goto off her back until he could speak with her. Mira tracked the Exile's actions, who was helping Nar Shaddaa's refugees and undermining the Exchange's business. When Visquis, the local Exchange boss, tried to lure the Exile into a trap in the Jekk'Jekk Tarr, Mira stole her envirosuit (which was supposed to protect the Exile from the Jekk'Jekk Tarr's atmosphere, toxic to Humans) and allowed Visquis to capture her. Unknown to her, however, Hanharr had collaborated with the Quarren. While the Exile was trapped in the Jekk'Jekk Tarr tunnels, Visquis allowed Hanharr to kill Mira in his arena. However, Mira proved herself tough to kill. She defeated Hanharr and left him apparently dead in the arena, and fought her way through Visquis's Ubese bounty hunters, and let the Exile in, escaping through the tunnels herself. 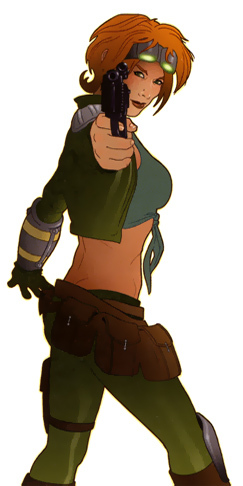 After that, Mira joined the Ebon Hawk crew in their quest to free the Exile from Goto's yacht. She remained loyal to the Exile, accompanying her during her adventures on the Ebon Hawk. However, in the Exile's presence, she did not hold back and killed her opponents though she did not understand why. The Exile recognized the Force-sensitivity in Mira when she described the natural flow of life on Nar Shaddaa, the Exile taught Mira to feel and use the Force on Nar Shaddaa, allowing her to become a Jedi Sentinel. Because she was unused to feeling the Force, Mira was initially overwhelmed by all the rush of life and activity, but the Exile helped her to learn to shut it out and calm her mind. On Malachor V, Mira confronted and defeated an enemy she did not expect to ever meet again: Hanharr, who had been saved from death by Kreia on the proviso that Hanharr continue to hunt down and kill Mira. Despite being on his knees defeated, Hanharr's irrational hatred for Mira remained because she once saved his life. With Hanharr's hate fueled madness not in the least bit diminished, Hanharr begged Mira to kill him because he would rather die than endure the 'living death' he would suffer again if Mira spared his life a second time. Tired of constantly having to live her life in fear and realizing that Hanharr would always hunt her for the rest of her life if allowed to live, Mira granted Hanharr's request to die and killed him. Never before had the Jedi absolute of 'never killing a defenceless opponent' shown itself to be more open to question than on Malachor V.
After the final confrontation with the Exile, Darth Traya predicted that Mira would stop hunting life and instead live it. "She was not born to be a predator," said Darth Traya among her last words. "Her death will occur in many years time on a forgotten planet, saving the lives of others. But it will be her choice, and she will have no regrets." Mira was a fast-talking, no-nonsense woman, with a dry wit and, in the words of the Exile, "lots of attitude." Despite this, she had sympathy for all life and due to this, never killed unless absolutely necessary. All of this due to the fact she related to them and knew what it would be like to lose family like she had lost on Malachor V. When she joined with the Jedi Exile, she began to kill more easily and did not find it comforting in the very least. Mira was an exceptional tracker and demolitionist. When given a target, she would "listen" for her target and get a feel for him. Due to her Force-sensitivity, she felt the natural flow of life on Nar Shaddaa and knew where her targets were going to be even before they did. Her demolition skills derive from her entire youth as a Mandalorian slave hauling around mines and munitions, learning how they work. Mira dressed in tight, revealing leather, which she said helped to distract her targets. She was good at what she did, and joked that if she became a Jedi, she would have to turn herself in for the credits. I'm guessing that those 16 dark side points in Miras profile is a typo of sorts? Killing Hanharr should have given her one or two at most IMHO. Absolutely, should have been 1, finger must have slipped when hitting enter.